The 2017 Audi SQ7 was announced last month and now Audi has released a new video featuring the latest SUV. The video below called ‘The Chase’ also features Captain America and scenes from the new Captain America Civil War movie. The 2017 Audi SQ7 is equipped with a 4.0 TDI engine that produces 435 horsepower and comes with 663 lb-ft of torque, it has an electronically limited top speed of 155.3 miles per hour and a 0 to 62 miles per hour time of 4.8 seconds. 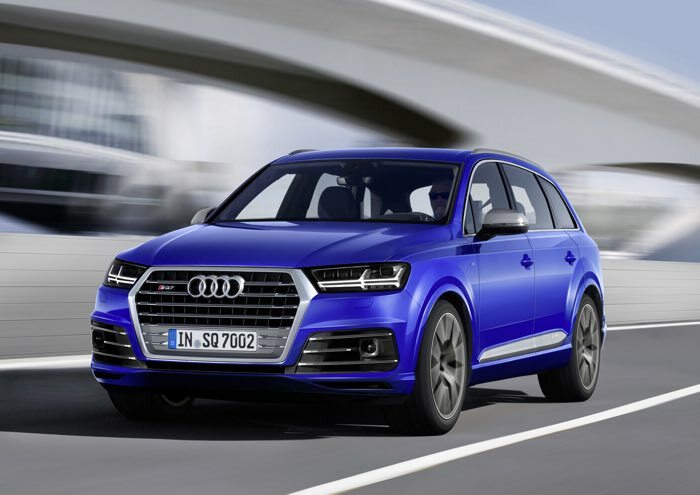 Audi are launching their new SQ7 in the spring and pricing for their latest high powered SUV starts at €89,900, you can find out more details about the car over at Audi.